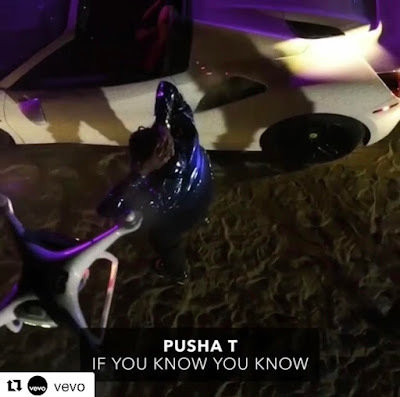 PHN What's New Tuesdays | New Music Video: Pusha T - "If You Know You Know" ~ Phresh Hott New! PHN What's New Tuesdays | New Music Video: Pusha T - "If You Know You Know"
It's that time for PHN What's New Tuesdays! Check out Pusha T new music video for “If You Know You Know” from his recent release third studio album ‘Daytona’. Track 1 from Pusha T's latest album, 'Daytona,' gets the visual treatment.